The majority of my time is spent working with Buyers and helping them locate the perfect property to meet their needs. I also specialize in Condominiums, assisting both condo buyers and sellers navigate the unique aspects of condominium owership. PulteGroup ($10.27 0.24%) reported first-quarter losses of $12 million, or 3 cents a share, reducing its year-ago losses of $40 million, or 10 cents a share. The Bloomfield Hills, Mich.-based homebuilder met analyst expectations of 3 cents a share, according to Zacks Investment Research, buoyed by a dramatic increase in land sale revenues. 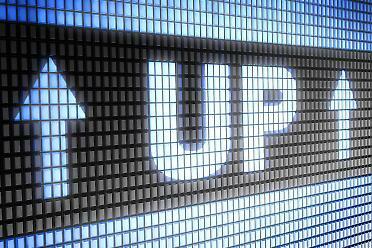 Home sale revenues in the first quarter increased 4% to $814 million from $782 million a year earlier. The rise in revenue reflects a 5%, or $12,000, increase in average selling price to $261,000, partially offset by a 1% decrease in closings to 3,117 homes. The boost in average selling price is a result of the ongoing shift in the mix of closings towards move-up homes, which carry a higher selling price. Pulte’s land sale revenue rocketed to $38.4 million in the period from $1.3 million from a year earlier. The homebuilder’s loss includes $6 million of land-related charges, which were offset by $6 million of land-sale gains. Land-related charges and land sale gains were immaterial in the year ago period. First-quarter cost of sales related to home sales totaled $712 million, compared with prior year costs of $685 million. Pulte reported a 15% growth in signups of 4,991 homes generated from 6% fewer communities. The cancellation rate in the first quarter was 15%, down from 16% in the prior year. And the company’s backlog as of March 31 sits at 5,798 homes valued at $1.6 billion, compared to a prior year backlog of 5,188 homes valued at $1.4 billion. “Our first-quarter results reflect the benefit of initiatives launched in 2011 which are expected to deliver additional gains as we move through the remainder of 2012 and beyond,” Chief Executive Richard Dugas said. 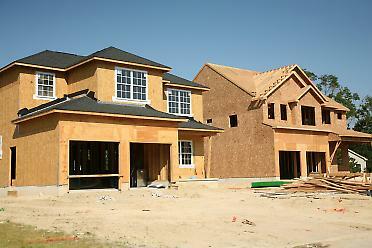 The homebuilder holds $1.3 billion in cash, $117 million more than at the end of 2011. Although U.S. foreclosure activity may be declining, the problem is far from over. There have been 5 million foreclosures since 2007, reports the Center for Responsible Lending, which estimates that between 3 million and 5 million more will occur over the next couple of years. In 2003, one in 38 U.S. home owners were seriously delinquent on their mortgage payments or in foreclosure, but today those numbers are one in 10. Some of the consequences of foreclosures are obvious: family displacements, crime in vacant properties, ruined credit, and the loss of equity. Other, less obvious consequences have emerged as well. About 8 million children could be affected, including kids of home owners and renters who were evicted due to a foreclosure. Julia Isaacs of the Brookings Institution calls these children the “invisible victims” of the foreclosure crisis, as foreclosures not only can cause emotional trauma, but also interfere with a child’s educational development. Researchers also have found a connection between rising foreclosures and an increase in medical visits for mental health, such as anxiety, or preventable conditions such as high blood pressure. And many communities are strapped because of a loss of property tax revenue caused by foreclosures, which can lead to cuts in services — including swimming pools, senior centers, and local law enforcement. The nation’s home prices rose 0.3% on a seasonally adjusted basis from January to February, according to the Federal Housing Finance Agency’s monthly house price index. For the 12 months ended February, home prices rose 0.4%, the first 12-month increase since the July 2006 to July 2007 interval. The index remains 19.4% below its April 2007 peak and is roughly the same as its January 2004 level. While prices in January were unchanged, according to initial estimates reported in the last HPI release, the January result was revised downward to reflect a 0.5% decrease. Click on the graph below for the seasonally adjusted and unadjusted monthly appreciation rates over the past 18 months. The FHFA calculates its monthly index using purchase prices of houses backing mortgages that have been sold to or guaranteed by Fannie Mae or Freddie Mac. 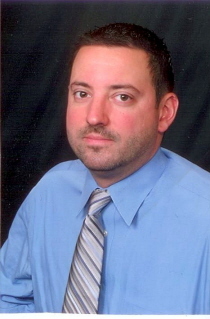 Featured Berkshire Gay Realtor: Peter, Century 21 A. Perras Realty Inc. I am a native of the beautiful Berkshires, born and raised in Richmond. My goal is to help you achieve your goals. 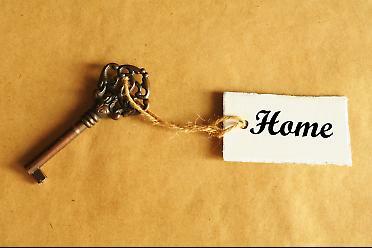 If you are interested in BUYING or SELLING your first home, primary home, or vacation home just contact me. I am always ready to assist you in a friendly and professional manor. Fewer Americans acquired new homes in March compared to February, dampening optimism that the housing market could see a material turnaround this year. Still, numbers are improved from a year ago. The Commerce Department recorded 328,000 new single-family home sales in March, down 7.1% from the revised February estimate of 353,000 home sales. The 7.1% home value drop is steeper than the 1.6% drop in new home sales experienced in February and the 5.4% decline recorded back in January. But it is up 7.5% from March of 2011, suggesting improvement from last year. The median sales price of new homes sold in March hit $234,500, with the average sales price hovering at $291,000, the Commerce Department said. By the end of March, the seasonally adjusted estimate of new homes up for sale hit 144,000, which equals a 5.3-month supply at the current rate. 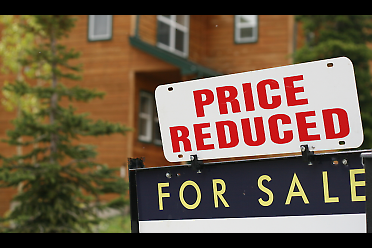 Home prices fell to post-recession lows in the latest Standard & Poor’s/Case-Shiller national indices. Home values in nine metro areas also reached record lows, the report said. S&P said its 10-city composite index experienced an annual home price decline of 3.6% in February, while the 20-city composite index declined 3.5% from a year earlier. This is a slight improvement from January when the indices declined 4.1% and 3.9%, respectively, year-over-year. “While there might be pieces of good news in this report, such as some improvement in many annual rates of return, February 2012 data confirm that, broadly-speaking, home prices continued to decline in the early months of the year,” said David Blitzer, chairman of the index committee at S&P Indices. The Atlanta metro area suffered the worst, experiencing a year-over-year home price decline of 17.3%. Five metros did see positive annual returns, including Denver, Detroit, Miami, Minneapolis and Phoenix. Freddie Mac wants mortgage servicers to use funds from an underutilized federal program to help homeowners through short sales and other foreclosure alternatives. The mortgage giant, in a letter to its servicers Monday, said they now must participate in Hardest Hit Fund transition assistance programs from 18 states and the District of Columbia. The directive, issued Monday, is effective immediately. The requirement applies to borrowers for short sales, deed-in-lieu deals or relocation assistance, but only if they don’t interfere with Freddie rules. 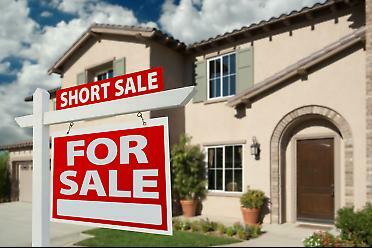 The letter to mortgage servicers comes as Freddie and Fannie Mae put a heavier emphasis on short sales. The two government-sponsored enterprises issued guidance a week earlier to speed up responses to these deals. It also comes less than two weeks after a report, from the Special Inspector General for the Troubled Asset Relief Program, said just 3% of HHF’s $7.6 billion fund had been used as of Dec. 31. The Treasury Department meant for the program to provide modifications, short sales, unemployment assistance and principal reduction. Freddie also told servicers it would release a new interest rate for standard modifications on June 1 to be used starting July 1. A senior official said last week that Freddie will lower the rate to 4.625% from 5%. Adjustments in the interest rate will be published on Freddie’s website. I am excited to offer to you Boston’s first green real estate office. At Boston Green Realty, our team of experts will assist you in transitioning to a greener lifestyle. We are excited to receive your phone calls and emails and to work with you in your real estate adventure. We are here to be used as your resource. Green Real Estate and Green Home Consulting. As a REALTOR®, I know that well-informed clients make better decisions for themselves and their families. My job is to help educate you about the Cape Cod real estate market and to provide information to help you make the best choices and decisions. This helps me build strong, life-long relationships with my clients. During my working career over the past two decades, I have worked hard to develop excellent customer service skills. As your business associate, I will always strive to be accessible, reliable, and knowledgeable. As your confidant, I will treat you like a V.I.P. at every step along the way and work to make you feel that you are my number one priority. As your guide, I will coordinate efficiently scheduled home tours for you, and make sure that you are able to use your available time on the Cape in the best way possible. 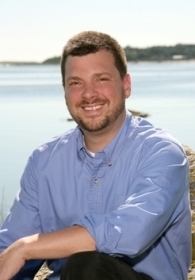 As your Cape Cod REALTOR®, I will provide you with a professional & yet personal transaction. Waterfront and Waterview homes, second homes, year-round homes.